In 2009, U.S. Army Surgeon General, Lieutenant General Eric B. Schoomaker chartered a task force to provide recommendations for a comprehensive pain management strategy for soldiers dealing with pain. A major driving force for the Army Pain Management Task Force was the opioid crisis. In May 2010, the task force generated a final report that provided over 100 recommendations for holistic and multidisciplinary pain management strategies. Section 4.4.5 of the document recommended the creation of interdisciplinary pain management departments. In August 2011, the Interdisciplinary Pain Management Center (IPMC) at Madigan Army Medical Center (MAMC) opened for business. I joined IPMC at MAMC as a Department of the Army civilian physical therapist (PT) in September of 2011. The IPMC team typically includes 2–3 anesthesiologists, 2–3 primary care providers, a clinical pharmacist, a clinical health psychologist and psych tech, 2 acupuncturists, a chiropractor and chiropractor tech, 2 massage therapists, a yoga instructor, 2 PTs and 2 PT assistants, 1 occupational therapist (OT) and 2 OT assistants, a nurse case manager, a nurse educator, research coordinators, and vital nursing and administrative staff. Day-to-day life as a PT in IPMC consists of team and individual evaluations, group and individual treatment sessions, and follow-up appointments for research projects. When patients come to IPMC, they first see a physician. Next, the patient meets other team members during a team evaluation. In a team evaluation, the patient sits in a room with a PT, OT, chiropractor, acupuncturist, yoga instructor, massage therapist, pharmacist, and psychologist (depending on the day and available staff). There can be a lot of people in the room, and some patients are a little apprehensive at first about the size of the group. But patients tend to express gratitude for having a team to work with and not having to repeat their medical history 7 or 8 times. The goal is to help each person improve her or his function and quality of life. Individual evaluations have the same focus in a 1:1 setting. There are a number of reasons for individual appointments instead of a team evaluation; ultimately, the team strives to partner with each patient in his or her healthcare and works to tailor individual care as best as possible. IPMC PT appointments usually start with individual treatment and, after 3–6 weeks, progress to group treatments. Group treatments are more autonomous, rigorous, and longer. With group and individual treatment sessions, the team works to improve the patient’s autonomy in her or his care. 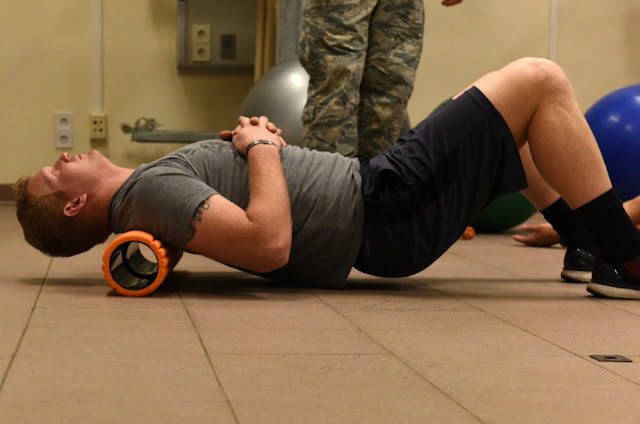 Instead of a lot of manual or hands-on therapy, a patient learns how to manage her or his own muscle pain with things such as a foam roll, lacrosse ball, silicone cups, or a number of other tools and techniques that can decrease myofascial pain. And with most types of chronic pain, there’s usually a component of myofascial pain. 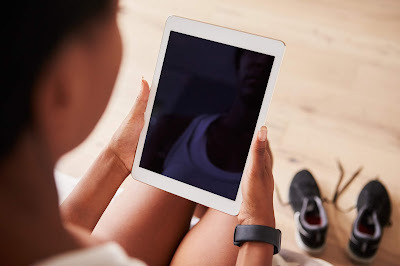 Instead of a broad list of specific home exercises, the patient is encouraged to use principles of activity pacing, proper biomechanics, and appropriate activity progression with things they enjoy doing or want to get back to doing. The team also works to expand the horizons of the patients’ exercise paradigm. 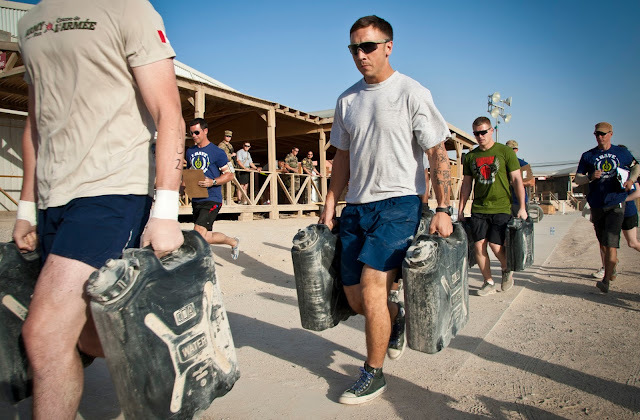 Too often, a Military Service Member’s concept of exercise is push-ups, sit-ups, and running. The team works to incorporate body-weight training, strength training, kettle bells, total body resistance (TRX), dynamic stretching, pool exercise, and other workouts to encourage the patient to be active. 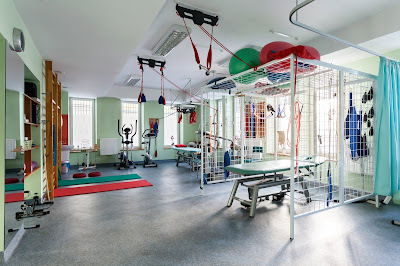 In the rehab gym, there are a few mantras that center on the concept of keeping the patient’s pain level stable throughout activity. The team constantly reinforces activity pacing. For instance, if a patient can make it through a 45-minute treatment session and her or his pain stays the same or decreases, then that’s a win. If the patient’s pain starts to increase, this is a teaching moment for the team to modify, adapt, and change up the activity. There’s always more than one way to do something, and sometimes all that’s needed is a subtle adjustment in body position or breathing pattern to change a painful movement to a non-painful one. The idea is to promote self-efficacy and show patients there are tons of things they can still do and get back to. One of the greatest things about being a PT is to have a patient complete an exercise or activity and then hear her or him say, “I didn’t think I could do that.” The team builds on these small victories. In this way, the team treats fear of movement by adding a little bit of activity during each session. PT treatment for chronic pain is like slowly wading into a pool: Successfully wading into this pool of activity depends a little bit on the provider to show the way—but it also depends a lot on the patient’s motivation level and readiness for change. At this time, IPMC has 2 research projects underway to explore how effective interdisciplinary care is at alleviating pain. As part of the research, the rehab team (PTs and OTs) collect some functional outcome measures. The patient will walk on a treadmill until his or her pain starts to increase. The patient also will lift a crate from the ground to waist height, from waist to shoulder height, and then carry the crate for 40 feet; with the lifts and carry, the team establishes a 1-repetition max that won’t increase the patient’s pain level. Once the team has this information, they identify a “safe zone” for exercise and a baseline for treatment. For research follow-up, the team tracks these functional outcomes at the first appointment, at 3 weeks, and at 6 weeks during treatment; then, 3 and 6 months after treatment. Before I worked in IPMC, I asked patients with chronic pain to come to my little clinic. It was painfully obvious that I had a very specific skill set that was only going to help some of the challenges that any patient with chronic pain faced. Working with an interdisciplinary team is awesome. Each member solves a different piece of a puzzle, and the team creates a more complete picture for treatment. Many patients who come to IPMC have had PT or chiropractic care or acupuncture or massage, but never together. This interdisciplinary, holistic approach addresses many more areas than just one profession could address by itself. With this approach, the goal is to improve function and quality of life—and have patients engage in more-active lifestyles. This looks a little different for everyone, and it further emphasizes the importance of an individual-tailored approach. When patients have a successful course of treatment and comment on how they’re able to play with their kids, go for a hike, play basketball, shop for groceries without fear of making their pain worse, or have hope again, it’s time to celebrate these successes. Education is a huge part of what IPMC does: improving autonomy and self-efficacy, managing expectations, and correcting misconceptions. A common misconception is that Military Service Members come to the clinic to have their pain taken away or be fixed. There’s a reason that IPMC is an interdisciplinary pain management center and not an interdisciplinary pain fix-it center. The team expects to see functional improvement, better quality of life, and less pain. Sometimes a patient will leave the clinic with no pain. However, it’s more often that a patient leaves with pain that’s better managed. Another subtle misconception that makes a huge difference is when patients expect the medical system to fix them, as though they’re passive spectators to their own healthcare—like dropping your car off at the mechanic to fix the brakes. The team encourages patients to take active and central roles in their health care as much as possible. Unfortunately, not all misconceptions come from the patient. Some misconceptions also exist among healthcare providers. This is part of the reason Americans are in opioid crisis now. Language that providers use when talking to patients about their pain also is an issue. Providers frequently use words such as “ripped,” “torn,” “bulged,” “herniated,” “degenerated,” etc. These words affect patients. I’m saying we should use these words carefully; in many cases structures that are ripped, torn, bulged, herniated, or degenerated aren’t symptomatic. Another challenge is that acute-pain episodes too often progress to chronic pain. In many cases, the key to stopping an acute episode of pain from progressing to chronic pain is movement. Once any significant tissue damage is ruled out, start with gentle movement as tolerated and progress as tolerated. The human body is incredible and incredibly resilient. Too often, people get in the way of what the body can and should do on its own. Resting too much or even overdoing it can make things worse. 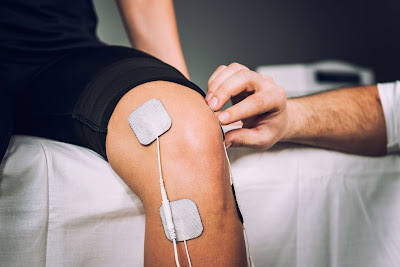 For example, too much ice, compression, elevation, or nonsteroidal anti-inflammatory drugs (NSAIDs) can actually slow recovery. Education alone has been shown to bring relief to those with chronic pain. I encourage patients to educate themselves by checking out websites such as the Defense & Veterans Center for Integrative Pain Management and HPRC’s Pain Management section. I also recommend that everybody gets a foam roll, lacrosse ball, silicone cups, or any other myofascial (muscle) self-care tool that works for them and learns how to use it daily. Doing even a little bit frequently can do much to keep patients functional and moving well. 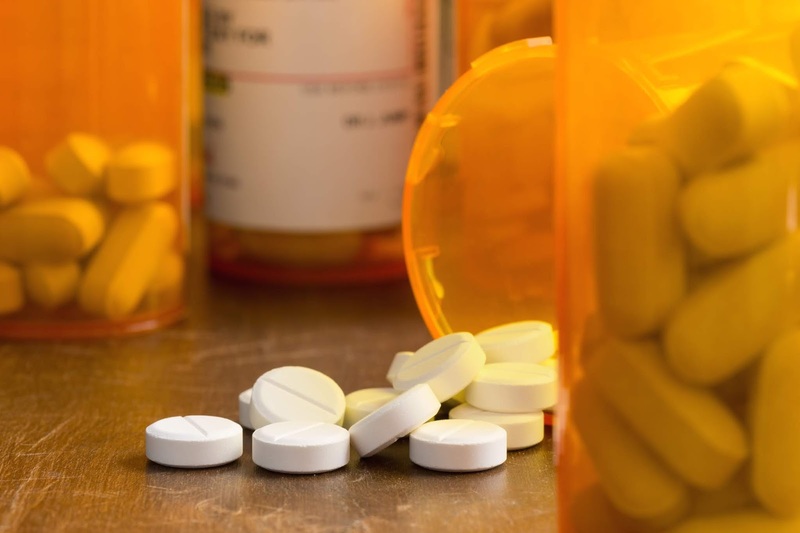 The opioid crisis has gained national attention in recent years. If you take prescription opioids for chronic pain, perhaps you’re wondering what this means for you and your pain-care plan. 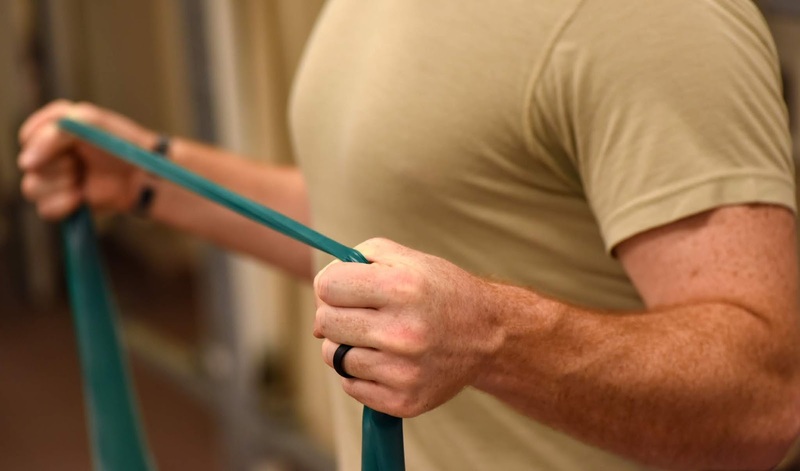 U.S. Army Lt. Col. Jason Silvernail, Assistant Chief of Staff and Doctor of Physical Therapy at Walter Reed National Military Medical Center, is an expert in outpatient, musculoskeletal pain management. In the video below, he discusses the VA/DoD Clinical Practice Guideline for the Management of Opioid Therapy for Chronic Pain and new evidence-based, holistic approaches to combatting chronic pain. The updated guideline encourages providers to consider the safety of opioids for pain management and supplement or replace them with alternative treatments as appropriate. Keep in mind there are ways to take control of your pain management and other self-care and healthcare provider strategies that can help improve your pain experience as well.